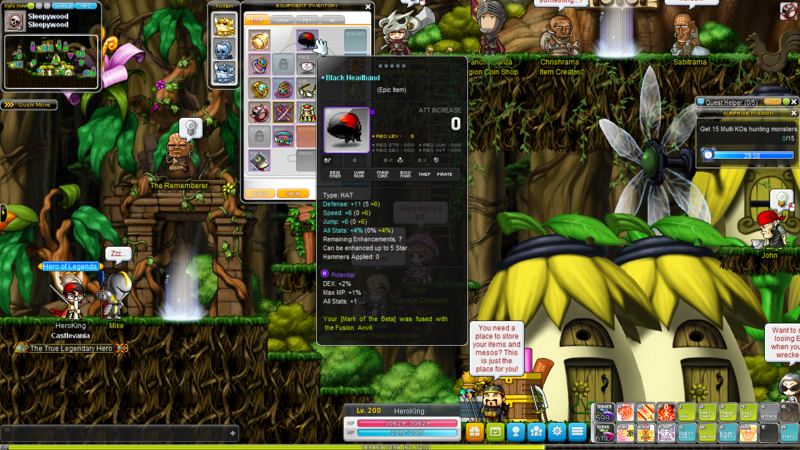 Noshkekkels (#1925) is currently the highest ranking Maplestory player that is wearing a Mark of the Beta. It's entirely possible that there are other people who own a Mark of the Beta that are higher level but aren't wearing it yet because they want to be the first 250 wearing Mark of the Beta, however, it's also extremely likely that nobody with a Mark of the Beta has reached level 250, otherwise they would be wearing it. Also, the first 200 pirate of all time was AnnaVette. SIDE NOTE: Many of the first level 250s have very unique names, but none of them have a Mark of the Beta, so isn't that evidence that many of them BOUGHT their names and Nexon doesn't care about that? This isn't necessarily a bad thing though, buying names doesn't effect much of anything, in fact, it's a good idea to allow the players to simply pay someone to delete a name. +1 They probably got their igns from that ign wipe like 2 years ago, or from that new censor system a year ago that allowed more words to be used. @gekkegerrit: Its the black bandana with red maple leaf on it, it was given out during beta. A rare item, that is untradeable. However there are fakes in circulation (anvil) ones. Probably what the #1925 guy has. The fake wearers are the try hards. @mccork are you aware of the fake marks? It's entirely possible mr #1925 is wearing a fake. One would assume it's due to people who are 250 are actually still using those characters to lucid/will? I don't see any reason why anyone would purposely wear one of the mdana lookalikes just because they are going to log off. Unless you mean something else. @capnmurica: No, I was not aware of fake marks. Can you or someone else please explain how they came about? What you're telling me makes a whole lot of sense because Noshkekkels is a Blaze Wizard.. Just doesn't go together. All I know is that nobody level 250 was wearing them since the time I created this thread. I checked manually and thoroughly. @mccork: But why would people change their equipment just because they are going to log off? A lot of people that are 250 don't just quit and never go back to them. They use those characters to fight endgame bosses. @gakinotsukai: I don't have good maple logic so I guess you shrek-mated me. However, the fact remains that there is no lvl250 wearing a Mark of the Beta [OF ANY KIND] when I went through the rankings just a couple of days ago. Mark of the Beta: I found you, faker! Mark of the Beta: I'll make you eat those words! @deeemon: Yeah I knew about this cash shop item. I had a feeling it had something to do with that. From the looks of it, you can use this anvil and still keep the TRUE mark of beta on the character. While we're on the topic of Maple Fashion, I think BannedStory got actually banned (lel) because after people make their perfect character, the charm goes away for many people. Nexon wants you to impulse-buy cash shop items so they make money. P.S. I think Pay2Win is not a crime. If you want Maplestory to be around forever, then Nexon has to make money. Nexon is doing a good thing by trying to milk as much dough as possible because that means Maplestory will be around longer for all to enjoy in their own way.